Photo by Nordfoto The author of the book : Photo By ? I have translated the book called " Alexandra " by Trine Larsen. The meeting between Trine Larsen and princess Alexandra happened on Amalienborg and the princess expressed happiness and expectation. When she received the first biography about her and her life. " I am looking forward to reading it " said Princess Alexandra . Who had been going though the book while it was being made and came with a few adjustments. Karsten Blauert was there. " It was a huge experience to meet the princess Alexandra under private forms. She was very friendly and has a fantastic way to make you fell welcome. She asked a lot about how the book came about. She thought it was fun that she had been sitting at the Cafe Victor in Copenhagen when the publisher and I had a meeting about the book ( NOT YET PUBLISHED ) said Trine Larsen. " If You had came up to me and said that you where writing a book about me then, I would had been running out the restaurant as fast as I could " laughed Princess Alexandra. Who now can read books in Danish. " It is easer to speak Danish then reading and writing it " told Princess Alexandra. Who thinks that she still need some Danish skills. " That's why it's wonderful to talk to children, they tell me if whey don't understand me " laugh Princess Alexandra.
" But I am happy that I am not flying home today to Schackenborg in this storm. I don't think I never will get used to the Danish cold weather, even though I am better at felling cozy on the long dark evenings " Said Princess Alexandra under her meeting with Trine Larsen. State Minister announces that today 31, May 1995 convened in the Council of Ministers meeting. The meeting will take place at 11 am at Christiansborg Palace. All the ministers are asked to attend. The message about the meeting gave rise to unrest in all the newspapers and magazines. For something was afoot, the day before parliament was on summer vacation. It was however a minority of ministers, who even knew what was afoot, and few hours to put Denmark on the other end. The Prime Minister at the meeting should read the so-called "royal show,” which will inform ministers that Her Majesty consents to His Royal Highness Prince Joachim will marry with Alexandra Christina Manley, a British citizen. “But now it's probably time to greet the day's main characters,” said Paul Rasmussen who, like all the others, were excited to meet Prince Joachim's girlfriend. Everyone was speechless with admiration of the beautiful, smiling woman who stood next to Prince Joachim. They were served champagne and petitfours. "She is so beautiful and an adorable girl." "She becomes a hit," said a female minister. “On the behalf of the government I would like to wish Alexandra Manley welcome to Denmark,” said the Minister Poul Nyrup Rasmussen. “As the chairman for the government it is my joy to announce to the members that Her Royal Highness the Queen and the government has now announced that His Royal Highness Prince Joachim will marry Alexandra Christina Manley,” said Erling Olsen. At the same time, the Royal Palace sent a fax to all the newspapers, magazines, radio and TV stations. 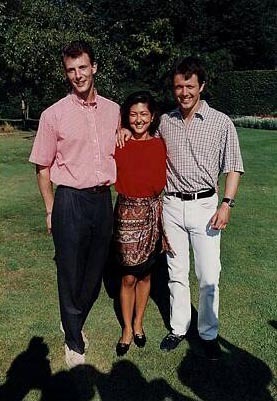 That Prince Joachim is engaged to Alexandra Manley and the wedding will be in Denmark in November, 1995. The press had begun to gather at Fredensborg Palace. The court had announced that there would be an opportunity to photograph the couple. The press is long in place. Most went to Fredensborg Castle as soon as they had the news. The thing was to be in good time. Nobody wanted to miss this sensational, interesting news. The wait was displaced with all sorts of guesses about the happy news. All eagerly discussed how on earth Prince Joachim had managed to keep it secret. None showed that Prince Joachim even had a girlfriend. Prince Joachim lived and worked in Paris. During that time all thought that I certainly had no girlfriend on the court. Finally it was time. The port, that has a back entrance to the Peace Palace was opened, the press people aside and struggled to get in first. All rushed off. Together with Lord Chamberlain, Christian Eugen Olsen gave last instructions to the press who had difficulty listening attentively, because they were about to burst with impatience. "May we soon see her," asked the most enthusiastic photographers who had lined up as a wall in front of the sofa where the engaged couple should sit. The rain had stopped and cheerful tone suggested Lord Chamberlain, the whole menagerie instead went out in the garden. "So I also better take pictures" was the answer. Have reached the door, however, does not become fully opened until all pushed out, however, down the stairs to the park. The press took up positions in an arc around the stairs. Final step was heard on the floor I have a hall, and out came the loveliest creature in hand in hand with Prince Joachim. There was a rush through the vast congregation. Shortly after the Queen Margrethe and Prince Henrik came in with Alexandra’s parents. But the compliment was only the Prince's betrothed to smile more and look for love on her prince. "Look here, all together, no, this way, look at me. Yes that’s great “ Photographers shouted at each other. Wearing tall handsome silver shoes and a red suit à la Chanel, adorned with the famous Coco Chanel camellias flower in silk on her breast and with pearl necklace around her neck. "Shall we see their ring" asked a journalist and it got to Alexandra and dropping his hand. Willingly and happily stretched out her left hand, but Shun stepped down the stairs to go even more photographers. How true that all could see her beautiful ring. A 2.5-carat large diamond in the middle with two red cabouchon cut rubies on either side. Alexandra did not make it that far. "Stay here" they can see it from here, "whispered Joachim and lovingly pulled his beloved back at his side. Such a ring of the value of 200,000 Danish kroner can then hardly be shown enough speed. Blunder or not so it was just the image, where Alexandra happy stretches out his hand to show her engagement ring, which ended up being the most used photo. The photographers snapped away while the young couple stood and smiled on the stairs. A love they had kept secret for several months. It was obvious that Prince Joachim was happy and relieved at the fantastic reception. And while TV stations had their engagement as their top story in their newscasts tonight through, it was also the headlines. In less than five hours the 31 year old had, previously unknown Alexandra from Hong Kong took the entire Danish press by storm. But Alexandra Manley was not the least bit nervous. She was curious as to what would happen when she and Prince Joachim public did their engagement. 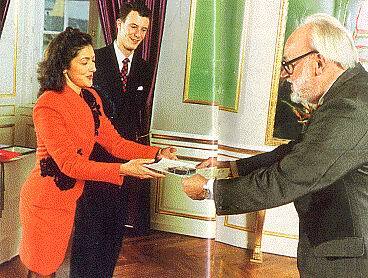 The first meeting with Queen Margrethe took place at Gråsten Castle summer 1994. Not that the Queen might one day would be her mother in-law, but because she now even the Queen of Denmark. "Even though it sounds easier to say than to do it, then I think always be yourself. Alexandra said later in an interview: "But I'm not prepared for anything, because none of us knew what would happen. I took everything as a new experience. And I have always taken all the new experiences as a challenge "
In the background sat Alexandra's parents Richard and Christa Manley is not alone as little low out of the royal surroundings. "Obviously it will be strange when our daughter moves on the other side of the world to live in Denmark. But we know Prince Joachim and I are very happy for him. And we are sure that he will take good care of Alexandra. " They would like to get married before the year end. At the same time the couple would also like to make it home from their honeymoon before Christmas. It takes a long time to arrange a wedding, not least the Royal family. Secondly, there must be far more guests invited than plain wedding and many of them will come from abroad. But details about titles when Royal marries bourgeois are only something Majesty decides. "My son is Prince and his future wife becomes Princess of Denmark," said Queen Margrethe. Denmark had a new princess. While many on the first evening saw their new princess of television the couple ate a quiet dinner with family. The couple's families actually first met a few days before the engagement and had plenty to talk about. After breakfast, they studied the many newspapers and the voluminous coverage of the royal engagement and Prince Joachim who translated what was written about them. Alexandra seemed it was overwhelming enough. Hofchef Per had prepared Alexandra on to a bit of everything could happen. She had not in his wildest imagination dreamed of so much publicity. None of the royal family could know in advance that the engagement would create such a stir. Next day she was famous in Denmark. Less than 24 hours before the engagement was announced, she could go out with her parents like any anonymous tourist in Copenhagen. Alexandra's parents were almost dismayed at how much news of their daughter's engagement was in Denmark. "It was overwhelming to suddenly see our daughter on the front page of all newspapers and magazines. We were both happy and proud, but it felt very overwhelming. We are not accustomed to this kind and it is after all our little girl. But she looked happy out that the concerns they had were quickly swept away. She for a title as Princess changes her "Said Richard Manley. In the morning, the barber came he had to fix Alexandra's hair. She gave him a free hand to the task. "It must just be a hairstyle that lasts all day," came from Alexandra. After lunch with the family they had time to relax a bit before it went away again with a new press meeting. All eyes were again directed at Alexandra. She appeared in a second thigh length Chanel suit. About his neck she wore a necklace which she got from her mother. The necklace had a dark rectangular stones in the middle of a wreath of diamonds. "How are you today" the couple were questioned as soon as they sat in the couch. "Yes thank you this day will go much better. Thank you because you all took so many nice pictures of us. Thank you for your very kind words that have been written about us, "said Alexandra. It amused Prince Joachim incredible that he had managed to fool the press. Monarchy has now, in several generations could present spouses of foreign origin. The pair had met in Hong Kong. "Alexandra is completely herself. She is full of confidence," said Prince Joachim. The press wanted to know what Alexandra felt about Prince Joachim. "I fall for his charm, his humor," said Alexandra. They got a lot of questions rained down on them. Quickly took over the Alexandra whole arena and talked enthusiastically about his life in Hong Kong, on meeting with Joachim, and his vision of the future in Denmark as a Danish princess. Until yesterday I was able to travel everywhere also in Denmark and move anywhere without anyone noticing me. That is over as of yesterday. But I have totally accepted. “How should it just be," Alexandra said, smiling. For Alexandra to get a title of Princess, she has never given a thought. She did not until the Queen said at the press conference. "It does not change me as a person. I've never thought about how Prince Joachim is. To me he just Joachim. " Whether we should have children? Yes we must then but let me just get a husband first," said Alexandra. Which in turn was about to topple Prince Joachim away in the couch, grinning as she threw herself over him on the question of what the two have in common. The answer was obvious: love. "Are you going to kiss your fiancé," cried the reporters. "A kiss no", he said looking at Alexandra. Then he bent down to Alexandra and kissed her. The couple stood bathed in strobe lights. How romantic it was. Princess Alexandra's parents have been a model for their daughter. "I've taken the best from each. Alexandra says having difficulty inserting the nationality of themselves. I'm British because I was born in Hong Kong. Her father is half British half Chinese. The mother is Austrian with Polish ancestry. Laughter and the bright minds she has from her father. But her open mind and desire to talk to other people and constantly learning new things and meet new challenges appeared to be a result of her mixed heritage and upbringing in Hong Kong. Even here, Alexandra said that just Hong Kong spontaneity was laid already in school at Island School. This was here that Alexandra learned to understand others and their opinions are not so important. "The important thing is to accept them," she says. My school was a very International school and was extremely popular among the many foreigners in Hong Kong and saw them as Alexandra's parents wanted to sacrifice money to give their children the right schooling. Alexandra was an attentive student who never caused problems of any kind. She was a quiet girl and a quiet pupil. Alexandra was born a quarter past eleven in the morning on June 30 in Hong Kong. At the same time the city had big problems with their water supply, so they had to conserve water. The small family lived in the early years in an apartment in Bisney Road in Pok Van Lam district. They did everything they could to give their daughters a safe childhood. In the first year had Alexandra her mother at home but after she started at school and little sister Tina was a few months old Christa Manley began to work again. The girls had a nanny. She took good care of us. Our nanny was very strict. They kept a close contact with family in Europe. Summer vacations often went to Europe. "We lived in the countryside and just seeing a cow on the field or watching a hen lay eggs was exciting for us." Another thing she remembers that three was her first encounter with snow she held in July in Austria. "I ate it immediately"
She laughs at the memories of it. After High School, Alexandra decided to travel to Vienna to study economics at university. She studied for a year. She lived with her grandmother in Vienna. "She was my confidential and I have learned a lot from her," Alexandra said. Alexandra went home to Hong Kong again but got a job in a travel office. That work led her to Japan where she learned to know the country but also the Japanese language. English, German, French, Cantonese dialect of Chinese. She worked as a stockbroker for four years before she went to England. This time she studied a year in London. Back in Hong Kong, she got a job at GT Management. After five years in the company Alexandra took care of all the advisory activity with investors. "I was used to facing large groups and speaking, therefore I was not nervous about my engagement, "she said. "I've had a fantastic boss who could stand out in any situation and speak without a script I admired him for his skill. I thought to myself: I'll also be able to do that. Richard Manley came to Hong Kong in 1948 from Shanghai in China. He had worked in the insurance industry. The mother Christa work for British Airways in 1950 when she met Richard Manley. Hong Kong is not the best city to grow old in. But in 1998 she let her retire at the age of 65 years. Now they would enjoy their time with relatives in Austria and Denmark. 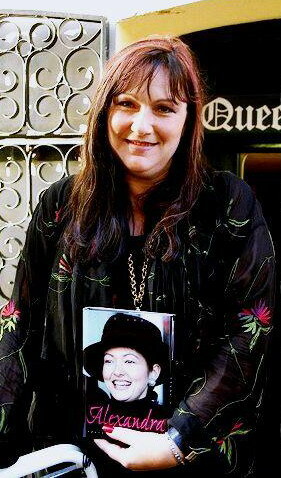 Nicola Manley was born in 1967. 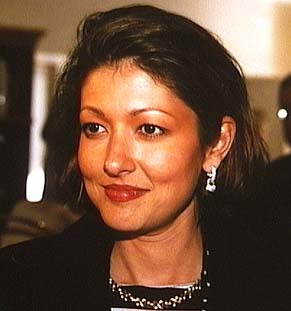 Alexandra's younger sister Martina was born in 1969. We are all three very independent. But just hear details shown up, "says Alexandra. She is the only one of her sisters who is left-handed when she writes and eats. Princess Alexandra who is 162 cm tall belong to the type of woman that can easily creep into a viewing tube 34 and she wears no more than size 37 in shoes. Unfortunately, Alexandra's sisters could not take anything from Alexandra's stylish wardrobe. Also, in corporate life Alexandra was a popular woman. Many of Hong Kong's restaurants, bars and clubs were visited. But one should not make a mistake. For behind the happy creature there is also a thoughtful and very sensitive person. Princess Alexandra never seems tired even though she has been on the job from early morning to late evening. She is considerate and loving to her closest. She is a determined woman who knows what she wants. 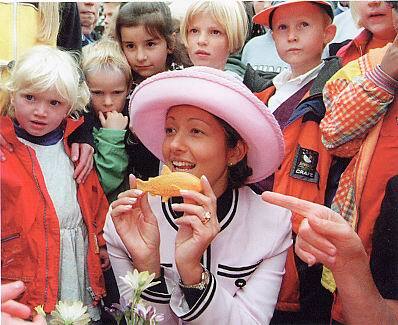 The Danes just love Princess Alexandra. She makes no secret that she is determined which not only has created lot of respect for her in Denmark - just think of how quickly she learned Danish. "I think that when one comes into a royal family, it means that you get more duties rather than that means you get more privileges," says Alexandra. She will not sit by idly and do nothing. Hong Kong has established 6.5 million inhabitants. There are some 10 million tourists who annually visit the city. On the Kowloon Peninsula, is the tip of the mainland of China, and on the other hand areas in and around Mong Kok district where the population density stands at 100,000 people per square kilometer. Until June 1, 1997, Hong Kong was a part of the British Empire. For Princess Alexandra, she was with mixed emotions that she attended the ceremony. She was with Prince Joachim as National Representatives for Denmark. But this day was special for her. "But there is something else to say goodbye to her hometown and see it taken over by another country. It's probably because I was born and raised here," said Alexandra. She also could not consider herself free to fear a little for Hong Kong's future. Everything will be changed, and especially for Alexandra, who now only coming to town to visit. The house on Bisney Road, Princess Alexandra lived most of his childhood has long since torn down for office towers. In Discovery Bay, Alexandra lived a few floors above her parents in an apartment. Here you can relax and enjoy life. Driving is prohibited in Discovery Bay. All transportation is by golf cart or local busses. It is often hot in Hong Kong. Winter lasts almost over the 3 months." Hong Kong in summer is hot and humidity near 95 percent. In particular, Princess Alexandra has not yet become accustomed to the cold just because of the cold weather in Denmark. In return, she loves the spring and summer in Denmark. Does she miss Hong Kong? "I miss my friends and my family used to be such a big part of my everyday life. The city as such, I say no." "People are more willing to share her life with one another when one is happy with their life," says Alexandra. "Every time I come to Hong Kong and land at the airport it is just exciting. It has a pulse like nowhere else in the world. The city never sleeps but is always in progress. Home is no longer Hong Kong. "My home is here in Denmark," says Alexandra. Prince Joachim and Alexandra will meet the first time over dinner in Hong Kong. Prince Joachim could not get the little beauty out of his mind. He had worked for Maersk Hong Kong for just six months when his brother came in January 1994 . They were invited to dinner with Mr. Lowell Chang who was one of Hong Kong’s leading businessmen. He had been a sailing companion with Prince Henry. It was also quite natural to Lowell Chang who organized a dinner in honor of them. Therefore he has invited some young people to dinner on Saturday 15th January 1994. Her name was Alexandra Manley and Lowell Chang from Corporate Life in Hong Kong's best circles. Unfortunately, she already had other plans this evening. But Mr. Chang asked if she could not cancel the second contract and come to dinner with him. Alexandra is not the type who just remembers to cancel because suddenly something more interesting came up. She could not resist telling her friend about the invitation. Her friend remembered that they just postponed their dinner for another night. Alexandra should call immediately and say yes to the invitation from Lowell Chang. She did so. She was with Prince Joachim at the table. She thought he was very nice and appealing. There was no trouble finding interview subjects. Alexandra learned about Denmark and had obviously told about Hong Kong. "But we had a feeling that this evening for both of us was nothing more than formalities. That certainly was something special about it," remembers Alexandra. The day after, Lowell Chang had invited all the guests from the party for horse racing in Happy Wally center in Hong Kong. The following day when the pair met again, they had again a fun day and ended up eating dinner together, but with the company of other friends and Crown Prince Frederik. 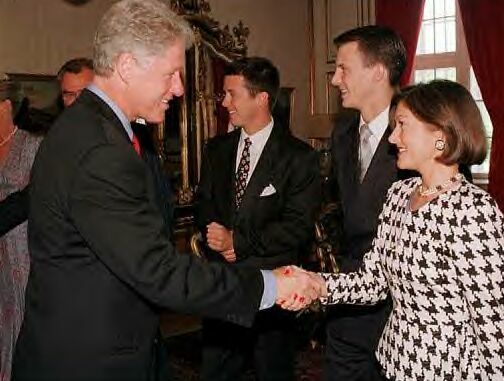 But admitted she felt very attracted to Prince Joachim and thought it would be great if they could be met again. It took almost two months before they met again when Joachim called Alexandra and invited her in town with friends. In each case, it was the couple's third meeting so successful that they began to be seen often. "The more we looked on each other more grew our interests," she remembers when she took a vacation to Shanghai with his family. The five-day separation was an end point for both. It was becoming serious. They both thought highly of each other and felt that now was feeling no longer so easy to manage. But there were already some shadows in the relationship. Prince Joachim was nearing completion on his job in Hong Kong. He was on to Paris where he had an agreement to be for a year. Already years before, Alexandra Manley's company had problems, during holiday time in Germany and Liechtenstein. So she had promised to go to Europe and stand in during the holiday period. That arrangement fell lucky with Prince Joachim's relocation to Paris. When he left Hong Kong and traveled to Paris discovered the couple how much they missed each other. It was only a matter of time before she had to work in Liechtenstein and they could once again be seen. When they were planning something, it was a month or two ahead. 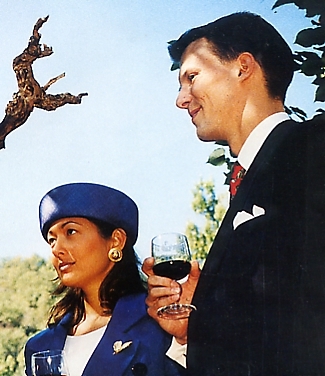 Three weeks later Alexandra and Prince Joachim met at the family chateau in Caïx, France. Then she returned to Hong Kong. Alexandra was probably aware that she had met a man who was special. But she dared not hope and dream that they had a common future. 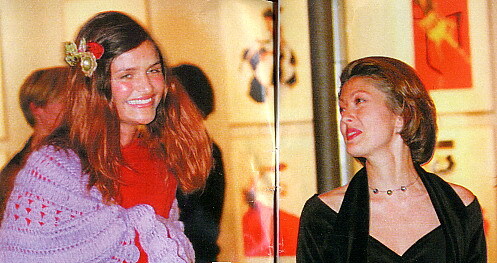 She was opposed to quitting her career in Hong Kong for a job in Paris, to be with Prince Joachim. So she decided to just enjoy being in love. She would let things happen and take them as they came. A few weeks after she was finished in Liechtenstein and could take a holiday before, she went back to Hong Kong. So Prince Joachim invited Alexandra on holiday in Denmark at Schackenborg. Without the press and thus the public learned of the relationship. They were very discreet and not many noticed them. It was the beginning of August and because it was holiday time could pair mingle with the many tourists in the area. For example, they could enjoy a vodka and tonic at the hotel without attracting attention. Alexandra had only 2 weeks in Denmark. 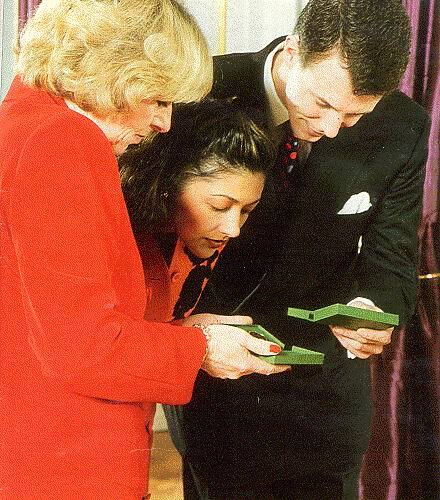 On one of their trips, they came near the castle when Joachim suddenly proclaimed that now they had to visit his mother the queen and his grandmother Queen Ingrid. "I just thought that I could not do anything wrong," she remembers. The meeting was quite relaxed. Second, there was a large part of his family together. It felt Alexandra took a bit of attention from her person. Not least, the Queen liked Alexandra. So the queen stopped by Schackenborg just to meet Alexandra again before she was on holiday in France. When the Queen came Alexandra sat with a paintbrush in her hand. She was in the process of painting the fireplace. In the last week of their vacation, the couple lived at Amalienborg Palace. The couple, however, at the time was both aware that it was serious between them. They were very much in love, but there was still so much they would learn about each other, before they dared to talk about feelings for each other. When Joachim came to Hong Kong, he was sure about his feelings. For the first time they talked about the prospects of a common future. It would be thought very carefully about. There were also many other very important things to consider. Even as a Danish prince is a challenge to get a mature woman and give everything she has worked hard to achieve, to travel on the other side of the globe and get married. Especially with a man who is Royal and has such a different upbringing and life than Alexandra was accustomed to. Prince Joachim understood well, but gave Alexandra's time to think about whether she was ready to sacrifice so much of his life for his sake. It was Alexandra who had to take a decision and she knew that had they had a future together, so it was she who had to abandon everything, Career, family and friends in Hong Kong for a whole new life in Denmark. Few days into the year 1995, Alexandra made up with herself and his feelings. She felt ready to say yes to a life together with Prince Joachim. Even if she did not know what she was getting herself into. The most important thing was to get the emotions right and then time will tell whether there would take years before a single life could become a reality. She told him about her concerns and her decision to give up everything for love's sake. He was jubilant. That he told his parents about his decision. He wanted to be engaged and married to Alexandra, and he wanted their approval before he asked her parents. The Queen and the Prince asked their son if he was sure. He was only 25 years old. He wrote a letter to Alexandra's parents and told that he would come to Hong Kong in late January and he wanted the opportunity to meet with them. He had told her about the letter so she could I, at least one thing: "There would be several years before everything was in place once the letter was sent." The couple had planned that they should go on holiday to the Philippines. Christa and Richard had repeatedly met with Prince Joachim and they liked him. They were probably nervous about Alexandra's future in a royal family but a glance at their daughter was enough to convince them that it would work. So during the couple's holiday, he proposed to her. "I was ready to marry Prince Joachim and share my life with him,” says Alexandra. "So we talked not so much about the new life that I want. Nobody can know how to deal with various situations before they arise. I felt really that I best be able to find this new life. By taking one day at a time and see it all the way just as things happened," says Alexandra. At home in Hong Kong Alexandra slowly began to adjust to the fact that she would soon had to leave. There were lots of things which should be arranged and scheduled. Prince Joachim had informed his boss on the happy news. They were in the process of driving out details about the engagement and wedding. Fax after fax and many telephone calls to Hong Kong followed. All this was done however in great secrecy. Alexandra had to keep her secret for a little while yet. She went to work as usual. It is the belief of Alexandra had a hard time concealing the happy news. Three months later, she had to again ask for some extra days off from work. She went to France to meet with Joachim's family. Together, they should plan the engagement and wedding. They talked about where the wedding should take place and where the wedding feast would be held and who and how many guests were they talking about. At the same time she was also to inform his parents about the final date for the engagement. "The thought of meeting the Queen and Prince could make us a little nervous," remembering Richard Manley. They keep almost always vacation in Europe in the summer but as the date for their daughter's engagement was in place had Christa take off work a few weeks late May. It was not time for more vacation in Europe before than the wedding was a reality later this year. Then visiting family in Vienna was naturally placed ahead of their engagement in Copenhagen. Five days after the official engagement, Alexandra was back in Hong Kong with her parents. Being engaged to a prince has some benefits and felt some changes when she came home. They were picked up at the airport by the Danish Consul General Peter Rosting that let them bypass the long queue at passport control. They were also very tired after many experiences and a few hours of sleep. The flight home had not been entirely without problems. In Copenhagen, they were delayed because of technical irregularities. "It has been the most hectic day of my life. Also for the way the Danish people have received me. I think probably that the first few times were strange to see yourself in newspapers. A really weird feeling when you're not used to it. These days we never ever will forget. But it has been a special and very wonderful day for us both. Thank you all. Yeah we've both been pleased with the attention and the many congratulations. " It had in all, been a few hectic days with Alexandra and Prince Joachim in the middle of press conferences and also should have taken an official engagement photo by photographer Rigmor Mydtskov. Alexandra and her parents were delayed in London because they did not connect the plane to Hong Kong. Therefore they had to wait for almost 7 hours. But with the plane from Copenhagen, there were several journalists who felt that the waiting time in London just as well be utilized. 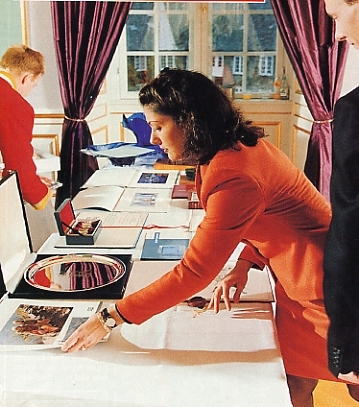 Denmark's royal magazine "Billed Bladet" had been so clever to have created an entire photo album with pictures from the royal engagement as they were able to hand over Alexandra. The photo album filled with pictures from the engagement was something that created happiness and joy. So far they had only seen pictures of engagement in the newspapers as they naturally had to take home to show Alexandra's siblings and friends. This is too much. But it is wonderful to have pictures from the engagement and looked happy in the album. Alexandra's parents were on a secret visit to the Hill to see Frederiksborg Castle Church where the wedding would take place. Alexandra's siblings waited home and excited to hear all about what had happened in Denmark. They were especially curious to hear how the reaction was when the secret got out. reporters who wanted to know everything about her sister. 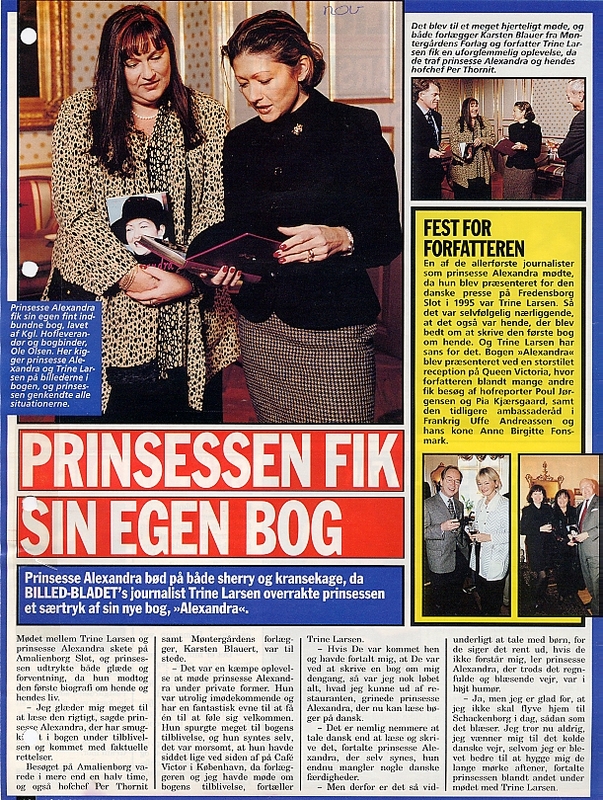 Images of Alexandra and the Danish prince did, however, cover the front of "South China Morning Post". However, interest was not as massive as in Denmark. There was a press conference arranged at her workplace. "I had read about it in the newspaper and was frankly shocked," admitted Alexandra's boss. "It is only to wish her all good luck from here," said Head. They could probably figure out that Alexandra would soon stop working in the company. "She will be greatly missed," if she had left us in favor of a competitor, so I was probably a little bruised, but being engaged to a prince is something we cannot keep up with," said Head. When she arrived at her job there were flowers from colleagues at her desk. All day, the phones rang for Alexandra and it was her friends. They would hear all about what happened in Denmark. Alexandra also had a meeting with the boss to inform him about the plans for the future. When the press arrived at her job, Danish Consul General Peter was ready to control the battle. She had understood what the press had come by for and let them take the pictures they were interested in. "Your sisters, when can we meet them?" Was one of the day's crucial questions from the press. "I must first talk with my sisters about it. " "But otherwise, they all really enjoy Hong Kong while they are here. There is a lot to look at, it's a fantastic city." she said. Some days later, Alexandra had arranged a meeting where her sisters also took part. "We look far on Alex's behalf and look forward to the wedding. Of course it gets a little sad because the course also means that she is moving to Denmark. We will miss her very much." she said of her two sisters. "I do not know if I am going to the wedding because I am expecting my first child and the birth is set right around the time Alexandra is getting married," said Nicola. 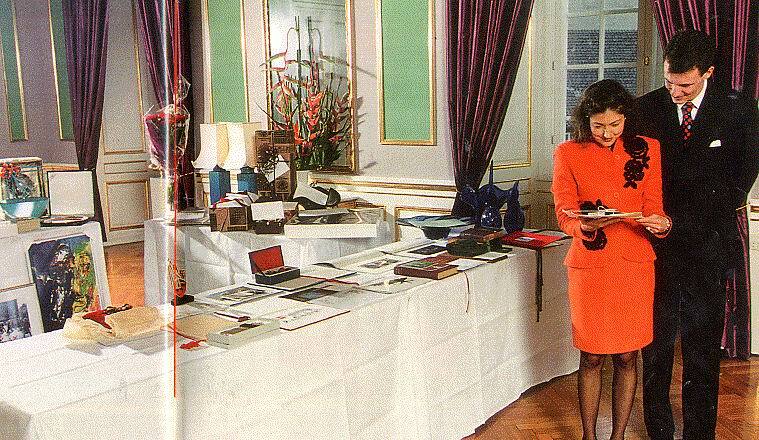 While Prince Joachim ready to move from Paris, Alexandra's belongings were packed on the other side of the globe. " the apartment. The rent is huge here in Hong Kong. It is a tradition that one went Fung Shui - the man if we face major choices and changes in his life. "I believe in fate and that there is a meaning in everything," said Alexandra. "In my case, he can tell what day it is best for me to get married at." She admits that she, like many other Hong Kong considers the figure eight a lucky number. The wedding was set for Nov. 18, but it would not be so bad, because the number eight had been concluded. Alexandra hoped that she could keep the job in Hong Kong as long as possible up to the wedding, but it was quite impossible. There were too many things that needed to be handled and the many details before the royal wedding was so extensive that she could not fit the job simultaneously. She was free to go to Denmark after a month's time in Hong Kong. While Alexandra's belongings sailed from Hong Kong in a large container, she flew to Denmark. As soon as she again set foot on Danish soil, she was once again headline news. 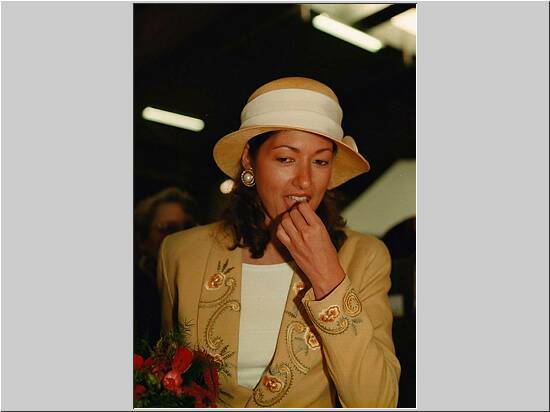 Since her June 30 birthday to celebrate her 31 birthday on board the royal yacht which was in London, she was just about to steal the picture from Marie-Changtal Miller, day after should marry the Danish - Greek Crown Prince Pavlos. The queen would pay for the wedding she was looking forward to arrange her son’s wedding. One of the loveliest has been to stay a while at Schackenborg. This time I knew of course that this is my new home. In August she went back to Hong Kong one last time to take a final farewell to his family and friends, talk wedding preparations with her mother but not least retrieve her dog, Oscar, of course, would help to Denmark. Oscar is a mutt, a mix of a golden retriever and a cocker spaniel. “We need to harness and celebrate the last weeks we have together. Remember, when this time I have to travel from Hong Kong, it will be to go to Denmark and marry Prince Joachim. I must say goodbye to everything I know and start a new life. Of course I can come back to visit, but it is not the same." said Alexandra. Her new life as Princess of Denmark, she could not possibly imagine what life meant so there was nothing else to do but enjoy the last time with family and friends. "I want to first learn to speak Danish," said Alexandra the day she became engaged to Prince Joachim. "I do like to understand what the pastor says in church when we married." It would be fine if she would make a wholehearted effort to learn Danish. "Because I speak German in advance so I do not think Danish is going be hard for me to learn because there are many similar words and phrases," she said. Alexandra knew well that if she would even fall quickly in this new country, so it was important to learn the language perfectly. No, I wait to say everything in Danish, so I speak the language perfectly," she said. After she came back from Hong Kong, she got her very first hours in Danish. Lessons were held with teachers Grethe Maribo and Bodil Jeppesen. She had ten lessons. Still, her teachers were impressed. Alexandra asked all of its proximity to speak Danish with her. Prince Joachim informed me a lot. They spoke English together every day. As they feel equal, and none of them have to sit and lack words to explain. "English is like our language because it is the language we learned to know each other through," said Prince Joachim. Then came Alexandra trained as princess. Everything seemed to her as clear as easy as nothing, and if you ask the people at court who work close to her, none of those who remember ever having seen her come alongside. Especially in the period when Alexandra was not yet so good at Danish, she sat quite often in Per Thornit’s office. She preferred to engage in reading newspapers to learn the language. It there was a word she did not understand, I translated it and explained the best I could, why it was called just like that. Princess has an amazing ear. From the day Alexandra was betrothed to Prince Joachim, has hardly been a week, that she has been on the cover of magazines. 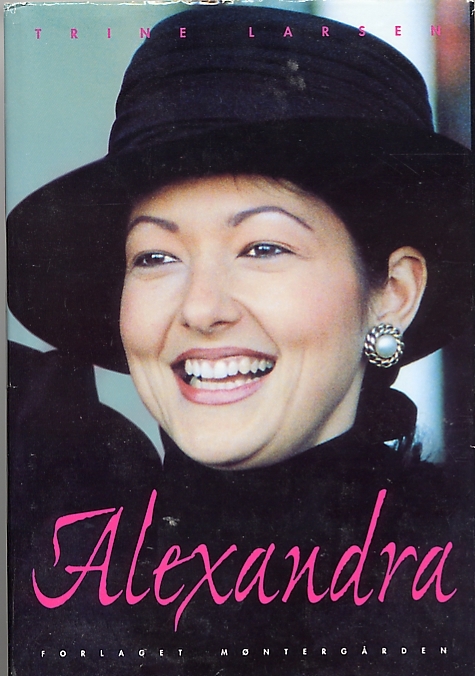 Moreover, the fact is that after Alexandra's arrival in the country have appeared even a few new magazines up. The people also seemed to be interested more and more of the royals. There were not many days before Per Thornit had the first letters and requests to dependent lying on his table. Among the many letters was also a letter from Charles Toosbuy owner and founder of the shoe factory Ecco. He had gotten the idea that Denmark should raise money for a public gift, so that they could restore "Schackenborg". The truth was, that "Schackenborg" to a degree needed more than a facelift, if the place would be a nice home for the couple. Within a short time, he got the magazines and TV to talk about the gift from the people and it was not long before the existence of the country's post office giro stood ready for the Danish contributions. "I think people want to join to bid Alexandra welcome to Denmark with such a gift." said Karl. And he was right. Nearly five months after he got the idea, people donated a gift of 13 million kroner. "We are deeply touched by the initiative. Joachim called and told me about the project while I was in Hong Kong. I was so happy that I did not know what to say. It is just too great. Consider that some would give us such a great and beautiful gift," said Alexandra. Joachim was just so freaked out over the prospect that he and Alexandra's dilapidated home was restored for millions, and even participated in several construction and project meetings. 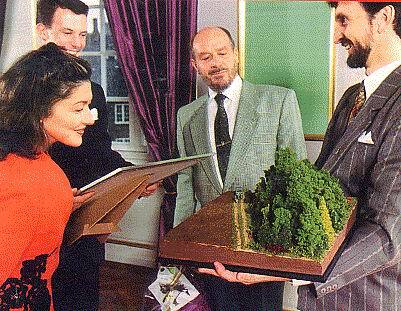 The plan was for Prince Joachim's own wish that the money from the people’s gift be spent on the castle exterior and its surroundings. Everyone was in full swing from early morning to late evening. While some lay cobblestones, others laid on a new roof, painted, or worked in the garden. The people’s gift was officially handed over to the pair on November 15, three days before the wedding. The couple's new main entrance was built with public grant money. All sails were set to Møgeltønder to make the day festive, despite freezing temperatures and snow. Everywhere there were flags and flowers and a lot of schoolchildren. And a number of invited guests filled up in the small town. Prince Joachim suddenly announced that another speaker had signed up. It was his fiance Alexandra who would say something. Alexandra's first words in Danish were spoken so eloquently and correctly and with a little accent, it was just charming. Applause washed over her. Back on the podium next to his beloved Alexandra he could again relax. Prince Joachim took his fiancé's hand and gave it a little squeeze and then put their heads together and grinned. She surprised everyone and everything. "I thought it was important that I said something, because it is also my home. Of course I was a little concerned about having to speak Danish, if I made some mistakes. But I went ahead and got help from my Danish teachers to write the speech. I also tried to memorize it, but of course I had to look in the script because I was a little nervous because it was my first speech in Danish to the Danes. And I had only had Danish In six weeks. I froze terribly because it was a very cold winter day. She remembers. There is not much to say to a woman who at six weeks learning to speak Danish very well that she has publicly courage to make a speech, seen by more than 1 million viewers. The actual speech lasted only 86 seconds, but that was all that it took for the Danes to be speechless. Alexandra had not been in Denmark for many months before Soren Haslund Christensen warned against the massive worship which was about the new princess. "Give them a chance. I think that they are two very ordinary young people. Let them be allowed to start their lives as married couples without constant monitoring. Give them a chance to be themselves both before and after the wedding. They are indeed royal, but no matter how well intentioned, it is has taken a turn and puts up some expectations that are totally inhumane. Spare them to be blown up to be something supernatural, it is not. Otherwise it can easily go and backfire. It will be like a boomerang," said Soren Haslund Christensen, who with Queen Margrethe's blessing, to try to dampen the "hysteria" around Princess Alexandra. The queen thought maybe that Princess Alexandra would have the same fate as Princess Diana, who at one point was sick of the great attention and forever felt like hunted game. "We all need a life. There are times when one can be themselves and reflect on, otherwise you cannot recharge, our privacy is not something we keep secret from the public," said Queen Margrethe. It now has never been indications that Alexandra could not handle it. "The princess is not the type to just let herself go at anything. But she seems to never feel with it and certainly not publicly. As the talented businesswoman she is, she makes her work as best she can. However, she takes her job very seriously. The Princess never moves out of an event, unless she has set very carefully into things when she said yes to being a protector, so it's not just in name but certainly a benefit. Since Princess Alexandra was once asked and got the chance to express the very public interest, it was both annoying and exhausting. Princess Alexandra thought, "It is certainly only a transition. Some time people will not think it is so exciting to follow with I know what I'm doing. " The interest in the princess is still fierce, and she seemed to become more and more popular. It has even shown that less than half a year after the wedding, she was the most popular person in the royal house. As models for the young, Alexandra has made it fashionable to be royal. They look up to her and she is admired. Not only for her beauty and charm, but all combined with her forthright manner and smile, she has done that from day one and she has gained population. Right from her first days in Denmark created the Princess Alexandra fashion. In courtship, she had not only a classic beautiful raspberry Chanel dress with gold buttons, but she also wore a kamelia flower in silk. But here in Denmark the small silk flower has not yet caught on, and if it had just been for Princess Alexandra, so maybe it had not done it. She used it only a few times, in different colors, in connection with her engagement, yet the flower is a kind of trademark for her. Like when people today are talking about the Alexandra suit. It’s a fact that she returned the little nifty piece suit and high heels. Her very feminine clothing style, with large gold buttons and clever details might well seem a little strange in the Danish fashion scene, has become a trend. Suddenly it was mini-skirt suits with short jackets a la Jacqueline Kennedy. Everyone wanted to emulate Prince Joachim's fiancée. The red dress that Alexandra was engaged in was not randomly selected. First, it is Chinese custom to choose red when you get engaged or married because it brings happiness. Before Alexandra became a Danish Princess, she was known for her good taste in clothes. She loves to let the smart details such as earrings, handbags, shoes, clothes give the final touch of elegance. Back at Schackenborg clothes tailored life in the country who prefer the Princess a much more casual and relaxed clothing style when they are private. They enjoy the relaxed clothes even more because both often wear a stylish and perfect attire through their work as representatives of the Royal Family. Alexandra has an extensive wardrobe, because she often switches between the two homes on Schackenborg and Amalienborg, she has to have clothes for every occasion in both places. However hangs most of her big prom dress in the couple's apartment at Amalienborg, because there are rules in Copenhagen that Alexandra needs the kind of clothes. It is also the court's staff in Copenhagen that take care of the princess prom dresses which are sorted, cleaned and cared for so they are ready when she needs them. She has her own system, where the clothes are placed by color, just as she writes up, which suits she has worn, where and when and which accessories can be used to it. With, she can combine her clothes as much as possible, and although she is not afraid to use her outfits several times. Alexandra even packs her clothes when she is traveling. So she is also sure that everything is included, and it is, as she thought it should be. Alexandra's taste in clothes is inspired by fashion in Hong Kong where all the big fashion houses have outlets and a tailor on every street corner. Several of her smart suits are purchased and sewn in Hong Kong, but she is also no unknown guest of Celli Freifeldt that here in the country is known as that can really make clothing with style. In over three years, the Danes have known Princess Alexandra, she has been seen in more than 70 different suits, each with its distinctive character. Several of the princess's party dresses are designed and sewn in Hong Kong. In over three years, the Princess carried more than 30 prom dresses, and several of them being named the year's most beautiful dresses. The bridal gown was designed by Jørgen Bender. He has also made many of the princess’s festive robes. But a couple of times she has been inspired by others and has had party dresses made from designer Charlotte Sparre. It is clear that Alexandra in his choice of clothing has become more European. Whatever Princess Alexandra wears, she has innate elegance and something royal about it. Therefore, she also got away with putting on the most flamboyant costumes interwoven with gold. But when the Princess is wearing, it seems the clothes are never too much. 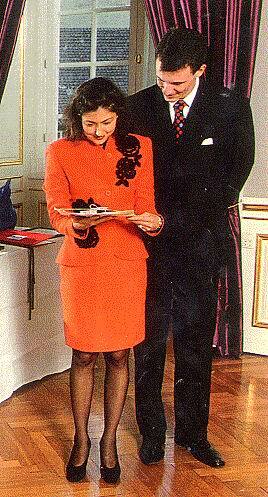 Princess Alexandra with her dark hair can wear strong colors. Poul Nejland knew as little about Alexandra as everyone else. Therefore, he didn’t know her type, or her style of dress or her hair, for that matter. Alexandra hair was then cut and on its way to becoming a little long in the lines. She has changed her hairstyle countless times in his life. She has had both short hair and had it long, as it has been permed in a shower of curls. After the wedding, Princess Alexandra let hair grow again, so it was somewhat easier to put up in attractive styles that fit better when the princess wore tiara bears by the large, official celebrations. She let herself cut in a page style, where brightly haired was equidistant from the rest. Not many months before, her hair was cut even shorter. Exactly such that the hair can still be raised when the Princess has it hanging loose under one of her many hats. For precisely the hat has become one of Princess Alexandra's great passions. Hong Kong is not incomparable to anywhere in the world. In Hong Kong there is simply nothing you can’t get. Handbags of different sizes and shapes you can get also in gold or silver, or in color. The only problem may be to decide. Princess Alexandra's shoes are often high-heeled, and it is perhaps not surprising, as the high heels down several centimeters to princess modest 163 cm. The preferred shoe seemed to be with straps over the instep and often chooses Princess shoes that matched the color of her clothes. Like most other women, she is crazy about shoes in her wardrobe and would probably show that there is a close above 100 pairs or more. Princess Jewelry is another story. It is evident that Princess Alexandra carefully chooses jewelry for the clothes and the colors she wears, and she freshens often dress up with fun earrings or a nice brooch. Another of the Princess's favorite ornaments a necklace of red and white that crosses into each other. Pearls, she also likes to go with the bath as earrings or around the neck. This applies equally true gems like the ones she wore at her engagement in several rows, like beads used in jewelry, or large earrings. The finest jewelry, Princess owns, is probably the tiara she wore on her wedding day. It is a gift from Queen Margrethe, who herself got the tiara gift for her 18 years birthday. The pointed arches of the crown hang diamonds as droplets. 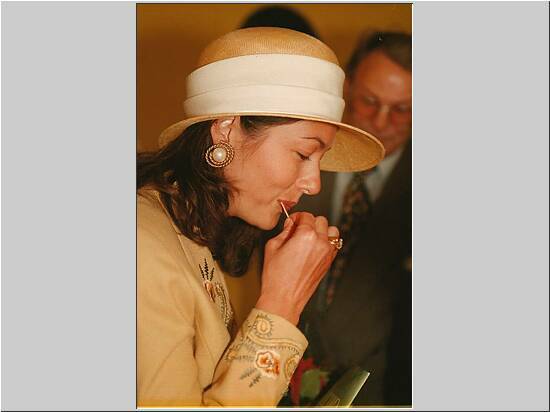 Princess Alexandra almost always wears some form of jewelry. But she often wears a small, simple diamonds in her ears or a simple gem. 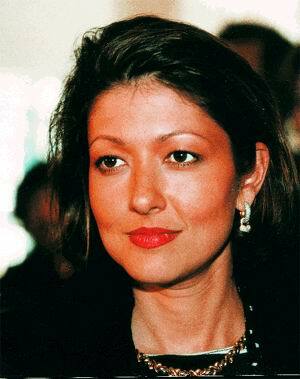 However Princess Alexandra is not always use makeup. The fact is that she actually did not even use mascara, and when she uses it very little. In return, she has always lipstick on, and even here she is afraid to use colors that match her clothes. The bright red lips present Princess Alexandra mostly at night, but doing the day she often use the somewhat more delicate colors. Princess Alexandra does not use rouge so often anymore. But it is obvious that the princess has started using different and less makeup after she moved to Denmark. 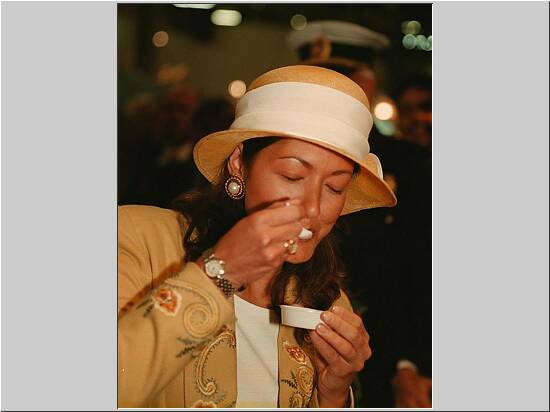 Princess Alexandra also likes nail polish and here she is not afraid to put color on. Princess trendy and should realize the trend in colors. Just as naturally, she uses red nail polish, just as naturally she finds to use light blue or gold nail polish if there is gold threads in her clothes. Fashion people of Denmark love the Princess for her exquisite and bold flavors. Although the Princess has repeatedly said she does not go up so much in fashion, it is a fact that she certainly is at the latest. Princess has had a tailor school named after her, and pupils at Alexandra School has made an entire wardrobe with its hat to Princess Alexandra, who often appeared as guest of honor at the big fashion shows and shows here in the country. Princess Alexandra loves to travel and experience new things. Since her engagement to Prince Joachim in May and up to New Year 1995, Alexandra to travel back and forth between Hong Kong and Denmark three times. 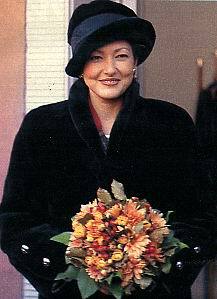 In January 1996, a few months after corresponding after her wedding, she had become ill. She struggled to get well ahead of her first official trip as Princess Alexandra of Denmark. The trip went to Uganda in Africa, although media interest around the wedding reached unprecedented heights, the power of breakthrough on this trip. On this trip, there were some 30 journalists and photographers. As on many subsequent trips, it was not the famous gorillas or other experiences that the press had eyes for only one thing: Princess Alexandra. "In the future we must be common on many things. Unlike most others who go to work in the morning and only see each other again tonight. Fortunately we discovered on this trip that we work well together. It is a great relief and joy to experience things, so you have each other to discuss experiences with. We have learned much about each other on this trip and it is highly stimulating for our marriage," said Alexandra. Immediately one might think that Prince Joachim and Princess Alexandra’s great popularity somewhat annoying. But Prince Joachim is not jealous of his wife. Rather he is proud of Princess Alexandra. But he lays no secret that he admires his wife very much. 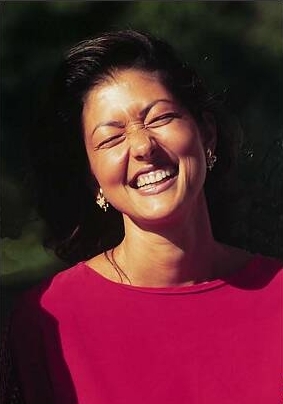 In 1996, Alexandra reached only to Hong Kong to visit his family once. Her sister Martina was married in August at a grand wedding in Vienna. Already in June, Princess Alexandra was in Vienna for an official visit to lend luster to an exhibition of Scandinavian design. The summer also saw a trip to the U.S. Together they traveled to the Olympics in Atlanta in July to cheer for the Danish athletes. A little later that summer, Princess Alexandra again in France with her husband, the couple should stand model for the painter Kurt Trampedach double portrait of the couple. After his sister's wedding in August the whole family was in Denmark to have a christening at Schackenborg. Alexandra’s sister Nicolas daughter Natasha was baptized. Shortly after we went back to France was to have the wedding. Alexandra was this time for his first wedding in the Monpezat family. After having celebrated its second in July in Denmark, she traveled alone to Hong Kong to celebrate Chinese New Year with her family and friends. around Shanghai, where she has been a couple times before, because her father comes from there. Princess Alexandra? Yes they did. Many thought that the Princess looked like an Eskimo to confusion. When she wore her new national costume, princess awakened wild jubilation as a tornado took the Royals Greenlanders with storm. "This is just so wonderfully beautiful," said the Princess Alexandra. In September Princess Alexandra took a trip to London, where she and Prince Joachim took part in a gala dinner in the Danish and British Association before the couple spent a few days off to shopping and the company of friends. In October, Princess Alexandra and Prince Joachim, once again presented to the wedding. 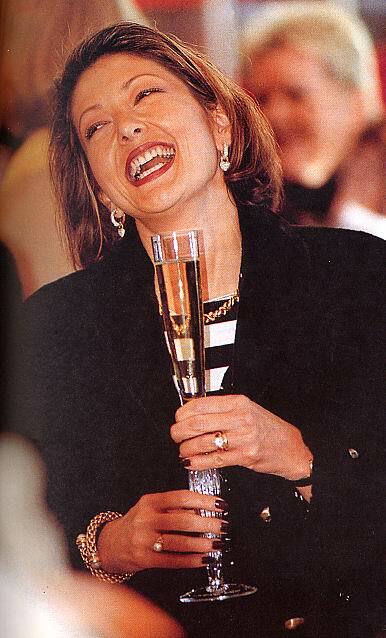 This time it was the Spanish wife, Juan Carlos, the youngest daughter, Princess Cristina, who was getting married in Barcelona. The trip was the couple's last official in 1997. 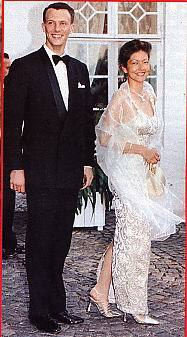 Almost like a tradition took Princess Alexandra In February 1998, home to visit his parents in Hong Kong. Later in August another wedding was on Princess Alexandra's calendar. This time it was her cousin. Together, they enjoyed a few days in Austria. In September, Princess Alexandra and her lady in waiting Susanna Wind took a trip, with the Danish Red Cross to Vietnam, as a sponsor Princess Alexandra do not want to sit at meetings with a bouquet of flowers in her hand. She will do some good and to do it. Princess Alexandra is admittedly only the patron of youth red cross, but when Queen Ingrid, who is the real protector can’t handle the many duties anymore Princess Alexandra willingly accepted. Also abroad there is interest and enthusiasm for the Danish Princess. When you get married to a Prince, move into a castle and get a queen to mother in law, you would think that life is merely a life of hustle and bustle. Princess Alexandra has people around her to help her with many of the chores that naturally come as Princess Alexandra of Denmark. In her daily life has Princess Alexandra, a young girl in the house, a kind of au pair. They help to clean in the big house, just as they help to go shopping or arranging for the dogs. Oscar and Nikita, when the couple is not home and can walk with them or give them mad. No butler to open the door and pick up the phone and no chambermaid. They deal in business. Prince Joachim receives 2.3 million Danish Kroner from the state. For the money he must cover all its costs and Princess Alexandra to bathe salaries, maintenance of Schackenborg exterior and interior, and expenditure on food, gifts, travel and especially clothes. Princess Alexandra has no real money again by the state for her work for Denmark. Every time she should buy something, whether it’s for them or household, she should ask Prince Joachim of money. For although she probably bought a lot of her clothes in Hong Kong, where prices are different less than in this country. For they sufficiently understand the pleasure both Princess Alexandra and Prince Joachim expressed when they received the gift of more than 13 million Danish Kroner. Prince Joachim has probably been looking forward a lot, as well as fur companies. Car companies competed in the queue of happy entities in connection with the wedding. The car he could have talked himself around, and the coat to warm the princess in the winter, when she so far has been about to perish from cold, he had hardly been able to escape to purchase. Prince Joachim has many official duties and can quite often take from Schackenborg. In daily life, it is therefore Søren who runs the business well and helps Prince Joachim when he is home. They also have a permanent gardener and they have people to help with harvesting. The Princess has a driving license herself and indeed in her time in Hong Kong a Saab convertible, which she drove around in. But it was sold when she moved to the island of Landau. Naturally she gets a girl to take her clothes for cleaning and it is also her who washing and ironing every day. In daily life, the Princess is in charge of cooking. She likes to cook. "If we have time, we may well just cook together, it may actually be true romantic. We often have Danish food." says Alexandra. In general, they try to live like any other young couple, close to the otherwise feasible. Although they have been married for 3 years, they have actually not tried to be home for 14 days in a row without interruptions due to official duties elsewhere in the kingdom. But when they can be themselves, enjoy it in full. "I enjoy nature very much. Maybe because I was not lucky enough to have too much of it in the past, we hold both very fond of walking in the woods around Schackenborg," says Alexandra. The couple would like to grow a sport together like tennis but it has not yet been time to do something about. Like Alexandra has not had time to do something serious about her desire to learn to ride. She has only had riding lessons a few times in Copenhagen. Her popularity has grown in that time she has been in Denmark. It soon became clear that she had to have her own Lady in Waiting. They chose the 31 year old Susanne Wind. Susanne Wind was born for the job as Lady in Waiting. "When I got the offer to become Princess Alexandra's lady in waiting, I was not in doubt. Of course I would say yes to the task," said Susanne Wind. Like Princess Alexandra, Susanne Wind is outgoing, friendly and laughter. An important detail because the two young women are to be together often, and because they come very close to each other. It is she who keeps any donations and makes sure that she knows about the program. The Princess has to go through so there are no mistakes in the process. After 3 years of marriage, there are no children running around barefoot. "Let's just get married first" was Princess Alexandra's response. The expectations for a new baby in the Danish royal family are large. Rumors of a pregnancy began after the engagement. "I did not think I have time for kids right now. I still learn so much about Denmark, and I rushing around so much that there is no time for children. I love after all my work,” said Princess Alexandra. Some newspapers and magazines have already anticipated the joyful events. It's actually happened so many times that Princess Alexandra and Prince Joachim would have had children, equivalent to a football team, if there had been a team in writing. "I have to get used to being married, I would also like to get to know Denmark and the Danes better, so children must wait a little longer," said Princess Alexandra. In the first two years Princess Alexandra lived in Denmark, there was constant construction mess at Schackenborg. Everywhere there were craftsman who worked, and as many places there was dust and mud that was dragged in through doors which stood wide open. But Princess Alexandra would never entrust the care of her child to others for any longer than necessary. 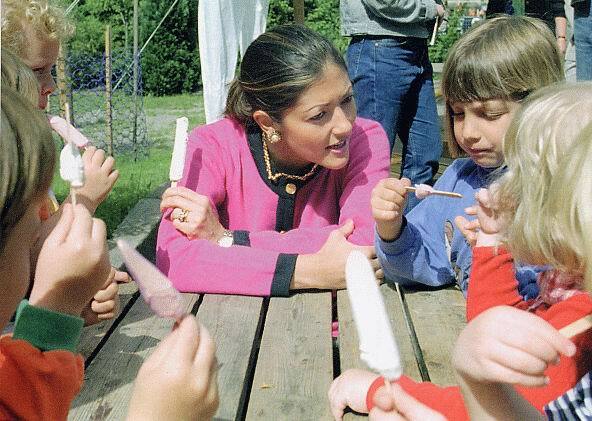 The Princess Alexandra loves children, no doubt. She has repeatedly proven that she has a very good grip on children. They flock to her when she visits the nursery or at places where there are many children. at Schackenborg, time will tell.
" We have not slept in a week. We are too nervous,” said Alexandra's parents a week before leaving for Denmark. Family Manley was simply suffering from wedding nerves. Only two weeks before the wedding, Alexandra's sister Nicola's became a mother for the first time. The girl weighed six pounds and was 49 inches long. "It's been a terribly stressful time when everything has been on the other end. Together we have been so nervous about whether we had overtaken the whole thing, and how the wedding should proceed. In the middle of it all, Nicola gave birth to a girl," said Christa Manley. Alexandra's father, Richard Manley, had also all possible reasons to be nervous. For not only would he bring his daughter up to the altar in front of hundreds of thousands of television viewers and all of Europe's royals, he should also make a speech to his daughter. "I know how to follow Alexandra up the altar in the chapel. The worst thing is the speech at dinner, in front of all those people. Queens, Kings and people we do not know. And all the people I can understand, also sees the wedding on television,” said Richard Manley. 2.6 million viewers alone in Denmark followed the wedding from start to finish, so he would probably not have coped with the speech of his daughter and son-in-law a speech which he had actually thought about in several weeks. “I am not used to this kind of thing and I would hate to do anything wrong” regarding Richard’s speech. While we talked about forms of address in the royal house and got track of who's Majesties, and who is Royal Highnesses. "It is first of all my little girl, whether she marries. It will certainly be a nice day, but also a day of mixed emotions. In many ways it's also slightly sad because the wedding for us also means saying goodbye to Alexandra. Not because I'm afraid in any way she will change, because she becomes a member of a royal family and becomes a Princess. But she must begin a new life and get a completely different life, far away from us. We come not to see her often as usual. And just so excited and happy we are on her behalf, as much we will miss her." he said. "If I just manage to keep on talking without being so touched that I'm going to cry, and everything does not end up being embarrassing." he said. The greatest anxiety for the speech were removed when Prince Joachim's boss, Per Thornit, offered to help so everything was in order. The fax was once extensively used between Amalienborg and Discovery Bay. A week before the wedding came Alexandra's parents and sister to Copenhagen. "I've missed them this way," said Alexandra. They went to Fredensborg Castle, where they would live until the big day. Two days before the wedding was Alexandra's other sister Nicola and her husband and 14 day old daughter. Monday morning, I drove them all together to Frederiksborg castle church to review the wedding in detail. Pastor Christian Thodberg, was there too. The photographer Mydtskov, was busy in the side building. It was she who had to take the official pictures of the wedding couple and the 46 family members shortly after the ceremony. They had 10 minutes to get the picture. The next day, Prince Joachim's and Alexandra went to Schackenborg, not only would they be ready to receive the gift at the official ceremony the day after, but they were also hosting a party at the Palace tonight. The party was for all the artisans and the staff that in several months had worked hard to get the project finished on time. Each got a personal thank you from Joachim's and Alexandra. "I suddenly thought," You are so here, in the midst of it all, where everyone speaks Danish. Then I also prefer to speak Danish. And so I did," said Alexandra. She asked all to correct her if she said anything wrong. Some 4000 people braved the cold and turned up to witness the gift transfer, which also aired on television. 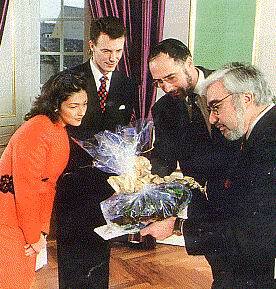 Alexandra's parents were also witnesses to the moment when she held her first speech in Danish. The following day Alexandra was at Amalienborg to need all the ways of saying thank you, as she had learned in Danish hours. All morning for over 3 hours they stood, and thanked the abundance of gift deputations which one by one arrived with the wedding gifts to the couple. 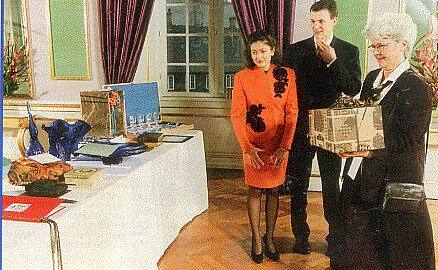 The gifts were virtually passed through the doors at Amalienborg for more than two weeks before the wedding. They may have extra people to help and enumerate the many gifts, so the dealer could always be traced if something was wrong. For after the wedding should each give a personal thank you card from the couple. Meanwhile, Alexandra's friends and girlfriends began migrating to Copenhagen from London and Hong Kong, for they were all invited to the youth festival. This gave her friends a little taste of how to party in Denmark. Crown Prince had invited about 100 friends to a great party. While the guests arrived they were served snacks and welcome drinks, which quickly brought people in a good mood. Alexandra woke up not only with a little heavy head on top of the successful party. She also woke up to its first snowfall in Denmark. November 17, 1995. Throughout Denmark were covered in snow. It stood on drifting snow, bitter cold and slippery roads. It promised not too good for Alexandra's first carriage ride, which was scheduled to go from Amalienborg to the Copenhagen city hall where she and Prince Joachim and their parents and other relatives had received. Copenhagen at one point looked like a snowstorm, had an incredible bunch of people who took up along the route to cheer the couple with cheers and cries flag. Inside the carriage sat Alexandra and Prince Joachim and waved to the people. "It was simply unbelievable touching that people came to greet us, even though the weather was so terrible," recalls Princess Alexandra, who first had to use one of his mink furs. It was she not on the coach ride, where people through the large snowflakes could glimpse their future Princess in a burgundy colored wool suit with green edges, ditto buttons and green hat with a burgundy bow. The hallmark of Princess Alexandra, known as Chanel flower she had the honor of the occasion come up, this time in light purple. The last days of a hectic program had damaged the forces, so it was a little pale but happy Alexandra, who arrived at the Copenhagen Town Hall to receive the city's gift, hear speeches, and taste the city hall pancakes and waving from the balcony to the thousands who in winter cold on the square stood and screamed: "Alex, Alex, come forward or we won’t go home.” "Alexandra and Prince Joachim were ready to go out on the balcony in the cold weather, preferring the other guests to see it from the windows in the heat. Although it did Alexandra and Prince Joachim well just to get a breath of fresh air while they were hailed on the balcony. Exactly one minute and 52 seconds was needed before the couple waved, and went into the heat again. At the time, Alexandra was sinking from fatigue. But it was all too much to experience for her in any way to let others know it. It would be good to come home at Frederiksborg Castle and get a nap before again be pulled in party clothes. In the evening the queen and the prince had invited 300 guests to a pre-wedding party at Christiansborg Castle. Queen Margrethe had an extra surprise for her daughter. Real princesses wear a tiara in her hair, so Queen Margrethe gave her daughter in law one. It also gave Alexandra the country's grandest order, Elephant, which she proudly and decent bar for the first time over his crackling, red prom dress on tonight. It is a tradition in Hong Kong as well as in China that should be wearing red when she marries. So Alexandra had selected a china red dress for her last night as unmarried. She had color back in her cheeks and so enchanted they look as she arrived for her first official court dance with Elephant light blue ribbon to contrast the dress and her new tiara sparkling in the black hair. Most proud and honored was Richard Manley, who on the occasion of his daughter's wedding was granted as he carried both the gala evening and the wedding day. Snowstorms created serious problems for tonight. The heavy snow created so much havoc before the celebration details on the evening that the whole program at Christiansborg Castle was at risk. The 300 invited guests could simply not come forward because of the snow and came too late for the gala celebration. The evening's main characters came nearly 50 minutes late in the company of the Queen and Prince. Shortly before the dinner started the Norwegian royal couple, King Harald and Queen Sonja, arrived in great haste with their daughter Martha Louise. The chef had to keep the food warm for 300 people for more than one hour after it should have been served. 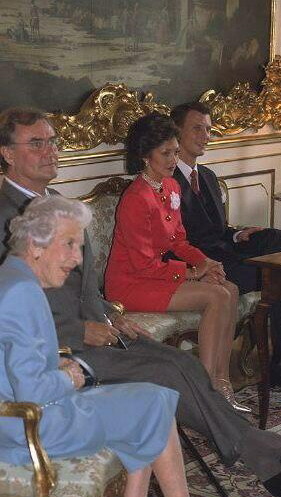 Alexandra sat between Prince Joachim, and Prime Minister Poul Nyrup Rasmussen, who had Alexandra's mother to dinner. The prime minister was among the speakers at the dinner, and in his speech to the prospective bride and groom he drew parallels with the fairy tale "Alice in Wonderland" by talking about people who just live in dreams and those who have dreams into reality. "Well, they, Miss Alexandra, did not come to wonderland, but Denmark is a good country to live in. Their outlook and actions give hope our lives and our dreams nourished. They have dared to do what too many others to become a distant dream. Whose wedding is it anyway? Media, theirs or ours? Obviously it's ours. Remember to draw boundaries and, if necessary, say stop "We must accept," said Prime Minister Poul Nyrup Rasmussen. 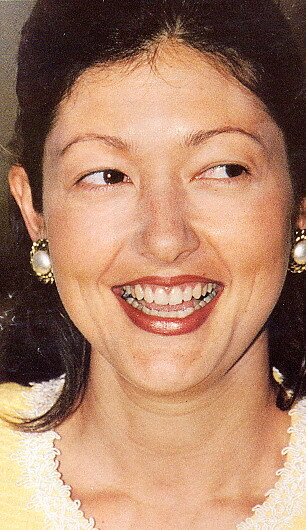 Prince Joachim's cousin, Greek Alexia, only landed in Heathrow airport at 10 o'clock in the evening. The Spanish Crown Prince Felipe, who because of the weather did not manage to arrive in Denmark before the party was over. He chose to drive to Frederiksborg Castle, like most others in the royal family had to stay overnight. While the royals and their guests partied, floral artist Erik Bering was busy at Frederiksborg Palace Church. The royal supplier of flowers was working in the days before the wedding day of operation. The flowers were driven from Holland in refrigerated trucks, and Erik Bering spent more than 10.000 flowers to decorate the church including dozens of flowers such as roses, lilies, mimosa, jasmine, all together in delicate colors of yellow, cream and pink colors. In the tent where all the royals arrived, there was raised a half feet tall crown in boxwood, and at the entrance to the church had Erik Bering created luxurious flower decorations designed as the monogram of the queen had made for the wedding couple. Everywhere there were erected white tents with inlaid hot and red carpets, so the royals and their guests could get into the church with dry shoes. The first press people started arriving early the next morning to secure the best seats. Alexandra slept late that day. The last days had been hectic and full of amazing and memorable experiences. The day today was to be the most unforgettable. It was Alexandra's wedding. The day she had been waiting for. When Alexandra awoke, she had butterflies in her stomach. What would the day be like? Oh, how she rejoiced. The first thing she did when she got out of bed was to check how the weather was outside. A little snow was still around. It was still very cold outside. They had simply agreed that it would hold the tradition that a bridal couple not be seen on their wedding day before they meet in the church. They slept in separate wings of Fredensborg. Alexandra was in another part of the castle, where her two sisters and parents also stayed. Moreover, in some of the finest guest rooms in the same part of the castle, where the most distinguished visitors, royal guests also stayed. When Alexandra was finished and with bathing and getting ready, her hairdresser came, Poul Nejlund, to do her hair. Alexandra had visited his salon a couple of time to try out what hairstyle was best suited to the overall impression of the dress and veil, as Alexandra liked. Together, they agreed that her hair should be curly creased and put up in curlers, which then surged from the hairline up to the tiara and the place where the veil was fastened. Since the style was as it should, it was time to eat lunch. The whole palace was full of wedding guests, and most of them were invited to lunch in another part of the castle without the company of Queen Margrethe and Prince Henrik. The royal couple had lunch with Prince Joachim in the daily family dining room on the palace's ground floor, while Alexandra and her family ate a quiet and cozy lunch on the first floor. "Now it's about time to get ready," said Alexandra after lunch and looked at her watch. In two hours, she had to be at Frederiksborg Castle Church with her father, who had to follow her daughter up to the altar. 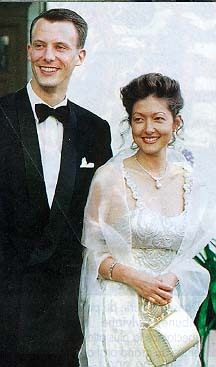 Alexandra wore her wedding dress by fashion designer Jorgen Bender, and had worked on it for three months. Together they had looked at the drawings and sketches for Alexandra because she would not have a modern wedding dress, but one that suited the church style. "The church is so great that I wanted a simple dress. And it was, but also very beautiful. I knew what shade of white I wanted. I would like them to be many shades of white. The beads were Mr. Bender's idea," said Alexandra. The wedding gown was of Italian silk and draped with 8,900 beads and was four meters long. The last day before the wedding, Jorgen Bender had worked at Amalienborg Castle, which was made into a decorated sewing room, so there was no need to fear that something happened with the dress. Jorgen Bender had sewn the dress almost like a double gown. Extremely tight "dress coat" high, receding china flip, and held together in the life of a broad belt in the dress fabric. The edges all around and the bottom of the long sleeves were sewn with 8,900 beads in two sizes. The dress was sitting close to the upper body, and rear extended gown four meters long. The tiara dropped the thin transparent veil on her back. "Unfortunately, I can only wear this wedding dress one time in my life," said Alexandra. Almost simultaneously Alexandra's bridal bouquet arrived, which Erik Bering had tied at home at his kitchen table. The bouquet, tied like a teardrop, matched the delicate colors of flowers decorating the church. Nestled among the flowers, there were lime leaves from Schackenborg, rosemary from Queen Ingrid's garden, and myrtles from Queen Margaret's garden. As a tribute to the bride, the bouquet consisted also of bauhinia blakeana(orchid tree), Hong Kong's official flower, and a small citrus fruit. Alexandra knew broadly how her bridal bouquet was going to look like because she had gone over it with Erik Bering. But when she finally stood with it, she just seemed that it was so wonderfully beautiful. Alexandra's sister, Martina, who at the time was still unmarried was to be her bridesmaid. "I was shaking and nervous. I was delighted to see Alexandra's wedding, it all seemed so magical. So overwhelming and amazing. But I was nervous all the people and television cameras. But as soon as we entered the church, I calmed down. I knew that all eyes were directed towards Alexandra,” said Martina. The Chinese tradition is that the bride on their wedding day to wear red to be really happy, was solved by Martina who wore a red dress. Her only task was to ensure that the train was true both on the way up and down the aisle, but also during the ceremony. "You look beautiful," said her father moved when he saw his daughter standing ready in his fairytale wedding dress. While Alexandra and her father were about to leave for church, her mother along with her daughter Nicola and her two-in-laws arrived at the church. All the guests had long since taken off to the church. The last ones who went were Queen Margrethe and Prince Henrik. The queen had the honor of the occasion to lend her largest and finest Rolls-Royce from 1958. She was on the same staircase, where she was first presented as Prince Joachim's fiancée. It was easier for the bride and helpers to make the long tow out here without any disasters that happened with the bridal gown. Prince Joachim had long since arrived with his brother and best man, Crown Prince Frederik. Prince Joachim married in his captain’s uniform from Prince's Life Regiment and looked great with the Elephant order, pale blue ribbon and his decorations and medals on his chest. "I was so happy. I sat there in my beautiful wedding dress on their way to church. Together with my father, I was delighted just as much who remembers the trip to the church as something very special. From the car to my dad and I saw those incredible number of people who stood in cold and wind to greet us. Just like the day before had seen the people who stood and friends appointed in the same kind of weather. It was an incredible experience and I was just so happy," said Alexandra. Even at ten o'clock in the morning, journalists and photographers from around the world began to arrive at Frederiksborg Castle Church. Six and half hours before the ceremony and the icy cold, they stood and fought for places. Ministry of Foreign Affairs was responsible for all contact with the press and I had months before work on the planning of who should be where, how many people were entering the church, who should stand on arrival and at the end when the bride and groom came out of the church. All were equipped with special passes. Seats around were broken in different colors, and only those who had received a map showing the color, had access to that place. Those journalists who had stood for more than six hours and was nearly frozen to the ground would not accept that their colleagues just came a few hours before and stood in front. Absolutely wrong it went, as the swarm of foreign press arrived with huge kitchen ladders, they could stand on, meters long telephoto lenses and wide, heavy photo bags. Police were en masse and tried unsuccessfully to dampen tempers, but the two were journalists who came to the solution as all reporters agreed. Along with police and some people from the Foreign Ministry they had made some cards that fit into the color of the card that the press had been equipped with. The cards were put up on the canvas, and then it was just to stand in the row which had been short. The excitement and anticipation was huge. Then the church bells began to chime and all turned their gaze toward the palace courtyard to see the bride arrive. 4:31 P.M. Alexandra and her father arrived at the church. In a sea of flashing lights rose the beautiful bride out of the car and waved to the crowds and reporters. "What a beautiful and wonderful dress," complimenting reporters said immediately viewing the breathtaking bride whose eyes shone racing against the glittering diamonds in the tiara. "I'm not nervous, I'm happy but now I cannot wait anymore," said Alexandra on one of the many shouting questions that could barely hear the cheers that swept down over the next princess. The many people who were screaming and yelling loudly that Alexandra's arrival would be similar to Hollywood stars bestowed upon their arrival to the Academy Awards. While Prince Joachim was waiting inside the church, Alexandra gave the time to make small-talk a little with the press, and her sister Martina got time to fix the train. "Now it's about time that I go in and get married. Come on dad, we'd better go inside. I think they expect us," smiled Alexandra. A little serious, but smiling, she looked up at her Prince. The priest said, "For many, happiness is not something you want, but something you are waiting for just as a lifetime through can wait for the big win. The other one only thinks of himself and becomes a nuisance for everyone and everything in its surroundings. But happiness is the others and especially the second one we like and will do anything. Therefore, it is a sign of a great joy that some bind to each other in marriage and thus of the entire heart says "I will be happy," said pastor Christian Thodberg In his speech to the bride and groom. They sat on golden stools at the altar. When the priest asked the question: "Would you like Joachim Holger Waldemar Christian Alexandra Christina Manley have standing by your side?” Joachim answered, “YES” too fast and then had to again answer yes when the right time came. Some of the seven TV cameras in the church caught the couple's loving glances to each other. Prince Frederik stood outside ready to form trellises with nine of Joachim's friends who were all in their gala uniforms. "Kiss the bride,” shouted reporters and photographers in their mouths at each other. Prince Joachim kissed her gently. "Again, again," they cried, which was perhaps afraid that the kiss was not made on film. So the couple kissed again in honor of photographers. Photographer Mydtskov had 10 minutes to take the picture with the 46 guests and the wedding couple so she took a few minutes of the strict timetable that should be respected not least for the 60,000 people who lined the route back to Fredensborg Castle. At Fredensborg Palace, Queen Margrethe stood and welcomed the 220 guests who were invited to the gala dinner. While the guests arrived, Princess Alexandra and Prince Joachim drove through Hillerrød where they were cheered by thousands of people who braved the cold and snow. "It was a fantastic day, which I never will forget. We seemed to both of us had the most perfect wedding day. Remember that everything that happened at our wedding had been planned down to the mindset of detail in several months. Whether it was the bridal waltz, we had tried to rehearse it. Like we had a wonderful wedding day, we had also had some lovely and incredible day before the wedding," says Princess Alexandra specifically commemorating on the couple's beautiful wedding dance and Prince Joachim's speech. It was obvious that Prince Joachim's speech made an impression on Alexandra's parents. Alexandra's father had a hard time hiding his motion. He had to repeatedly fight back tears. To fly from the nest is rarely an act. You stand on the edge, stretching your wings, marks the wind. But sooner or later you come out and fly. You return to the nest. One fine day you build its own nest, given the readiness jumping from. I left home, but was still a frequent visitor. I went to Hong Kong and came back from there but not alone. Now I build a nest with Alexandra. “You trusted me and went with me to the lives and the country you barely knew. There is almost nothing in common with your life in Hong Kong and here in Denmark. All beginnings are difficult. But we two, for mutual support and joy. The lesson is our journey through life, a journey that will last forever. Give me your hand and let us go forward on our journey "
Prince Joachim took Alexandra's hand as he kissed gently. Prince Joachim then asked the guests on with him to a toast to the bride. “It was a beautiful speech. We had talked about it a few weeks before. It was good that I could understand when he said: Give me your hand! It had been less good if I had not lifted a finger. It was so touching and so lovely words. Directly from his heart to me," said Alexandra. "We danced our wedding dance, and it was not easy in the big dress. We danced so amazing together. Everyone was so happy and we got the most wonderful celebration, you could want. It went too fast," seemed Alexandra. The party ended at two o'clock in the morning after the wedding dance, and midnight snack. It succeeded Joachim friends that have placed a sign with "Newlyweds" on the car's rear window, just like at the rear of the car was arranged a long string with all sorts of noisy, empty cans. The guests held the car handles and began to rock the car and rocked it so violently that the bridal couple was tremendously shaken up and down inside the car. The pair thought they were safe inside the car. A single trip around the lawn with honking horns, it was, before the bridal couple was escorted from Fredensborg Palace of two police cars. The bridal couple spent their wedding night at Amalienborg Palace. The following day they flew from Nice to Argentina, where they lived privately with Ambassador Leif Donde and his wife, Ingeborg. The journey continued to Acapulco in Mexico and on to Mexico City. From here Prince Joachim and Princess Alexandra went to the United States, where they were both in New Orleans and New York. The pair came home in early December to celebrate Christmas. They returned to everyday life. A journey of a common future.